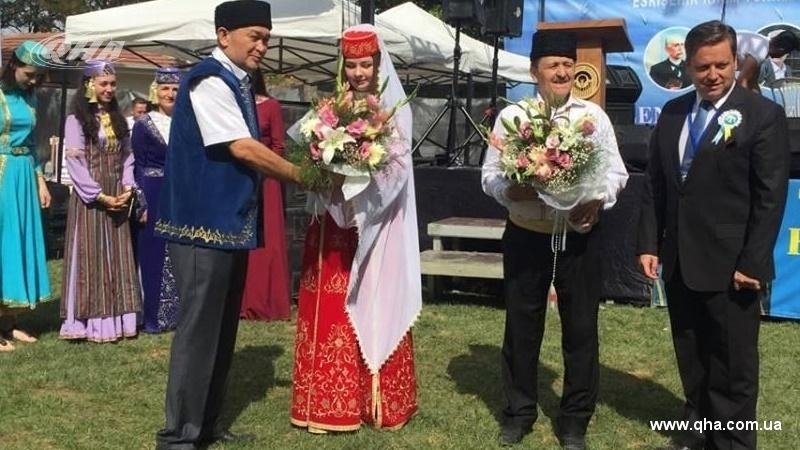 With the assistance of the local branch of the Association of Culture and Mutual Aid of the Crimean Tatars of Turkey, noted the national Crimean Tatar feast of Tepreç was celebrated in the Turkish city of Eskisehir. Association of Culture reported that the 32nd feast Tepreç took place in the local park Kocakır. The festive event was attended by the mayor Yılmaz Büyükerşen, members of the Turkish Parliament, the Head of the Odunpazarı city district Kazım Kurt, the Head of the Association of Culture and Mutual Aid of the Crimean Tatars in the city of Eskisehir Evren Olcay, the Chairman of the Crimean Development Fund Ümit Şilit, as well as the residents of the city. The guests of the event entertained by the musicians from Crimea, the dance group of the Crimean Tatar diaspora. In the framework of the holiday, the competition in national wrestling Kures was held. Turkish MP Utku Çakırözer expressed gratitude to the Crimean Tatar community for organizing a festive event. Reference: Tepreç is a national holiday of the Crimean Tatars, following Hıdırlez. Various games are organized on this day (like wrestling Kures and children's competitions). People prepare meals ion their houses and invite relatives. Earlier, on July 7 in the Turkish city of Kırıkkale celebrations were held as well on the occasion of the feast of Tepreç.